Graham Couch (left), Rico Beard (middle), Al Martin (right). Michigan State University graduate, now SportsCenter host on ESPN, Jemele Hill, made national headlines earlier this week when she called President Donald Trump a white supremacist via Twitter. ESPN issued a statement noting that Hill's comments do not represent the company and that they had addressed it with Hill. This morning on Twitter President Trump said ESPN "is paying a really big price for its politics (and bad programming). People are dumping it in RECORD numbers. Apologize for untruth." 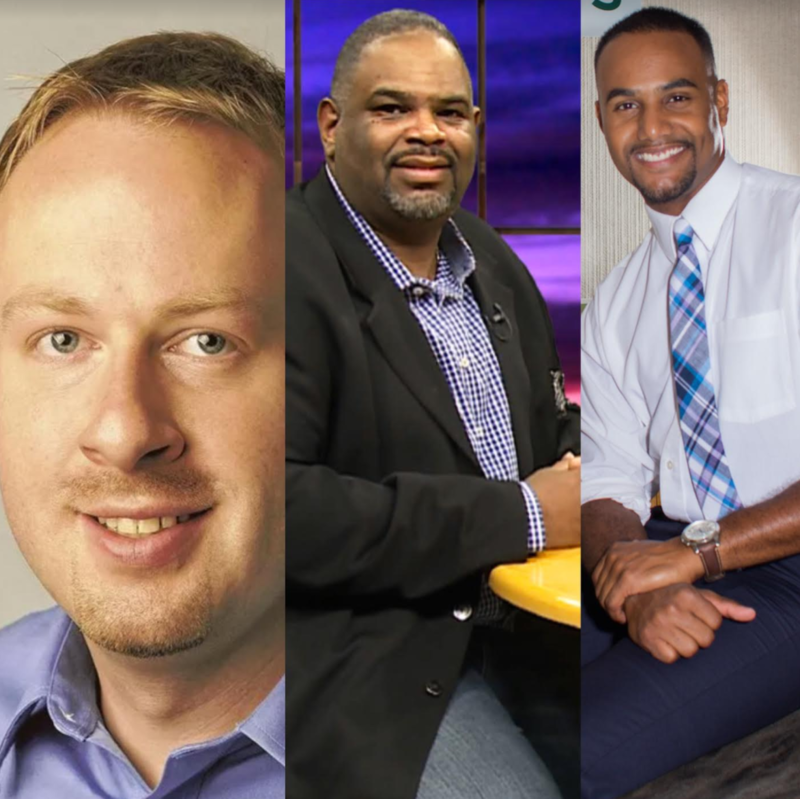 WKAR news director Reginald Hardwick picked the brain of three local sports journalists. Graham Couch (sports columnists for the Lansing State Journal), Rico Beard (host of "The Spartan Beat" on The Team 92.1FM), and Al Martin (host of WKAR's "Current Sports") joined Hardwick to express their thoughts on the Jemele Hill tweets. On this week's "Current Sports" and "Current State" WKAR news director Reginald Hardwick picked the brain of three local sports journalists. Graham Couch (sports columnists for the Lansing State Journal), Rico Beard (host of "The Spartan Beat" on The Team 92.1FM), and Al Martin (host of WKAR's "Current Sports") joined Hardwick to express their thoughts on the Hill tweets. Have they experienced the "stick to sports" backlash when expressing their own political views on social media and professional platforms? Listen as they all provide insight.